Over the years of taking pictures, I’ve encountered many many questions about what I do, how I do it and why. I will try to do a few blog posts answering a few of the questions. Our children will not smile for photographers, and in fact, they are either hiding between our legs or crying and wanting to leave. We’ve tried several different photographers, men and women. We’ve almost given up on getting ‘good’ family pictures because they are just antisocial. Is this normal!? What should we do? This question made me smile, because I have been there myself, with my children – and I dare say that more parents than not have been there also. It’s not antisocial behavior at this point. Sometimes, kids just do not like people they do not know or environments they do not know. How do you make a nervous child comfortable? There is no blanket answer to this question, because every situation is different. That being said, Nygren-Kearns Photography is kid friendly overall. We prefer to do sessions in client’s homes, especially when the kids are younger. Why? Kids naturally feel safe in their home. It’s what they know and they expect that they will be safe there, even if ‘safe’ isn’t a concept they grasp yet. Home feels good to us, and it’s the same with children. We encourage families to incorporate their child’s favorite things in their sitting. Favorite blanket, favorite book, favorite toys. No matter the shoot location, for younger kids, your child’s familiar items bring more comfort than one of our studio toys they’ve never seen before. Of course, at a certain age, a new unfamiliar toy is great at keeping a child’s attention and holding their interest. We do not keep strict time frames on our shoots. We do not rush. If your child is upset or needs a break, we can take one and wait. The clock is not running down; there is no pressure to perform. Kids and animals work on their own schedules, and there is no point in trying to rush them. We understand sometimes that “magic” shot just isn’t going to happen — and that’s okay. Even if we want big huge grins, it may not happen.They will not always do what you want. Heck, sometimes they never do what you want. 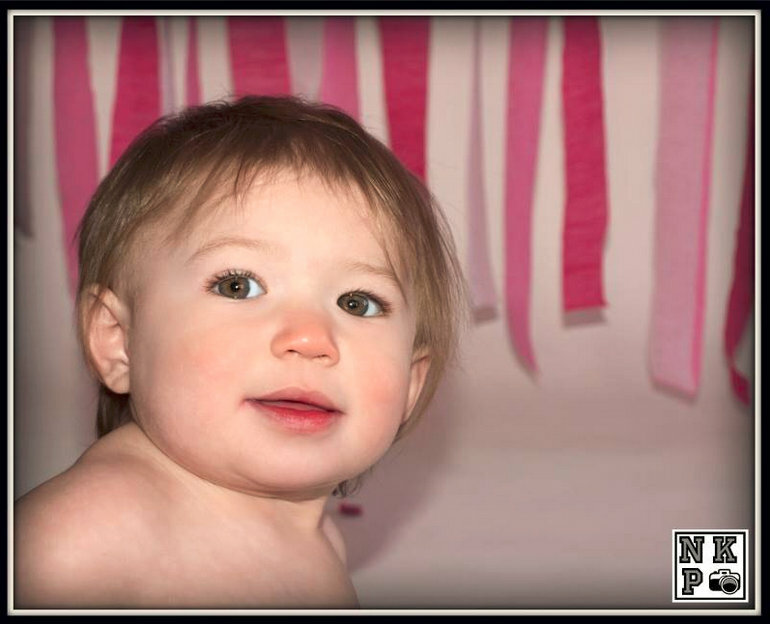 We will schedule your session at a time that makes sense to your baby. Some babies are happiest when they first wake up in the morning. Some are happiest after they’ve been up for a while. Some kids, after snack time. Some, after dad comes home from work. Every child is different. We’ve set up for shoots at 6:30a so that we could be ready when the munchkin woke up. We’ve set up at 9:30p to get sleeping shots of the baby who absolutely refused to nap any other time we were around. We are relaxed and calm. It’s been my experience that young children, babies and animals all pick up on emotions and tension. We make an effort to remain on an even keel, even if things aren’t going the way Mom or we wanted. We are hands off. If a child is uncertain of a stranger, they are not going to be happy at all if the stranger pats them on the head or tries to make them pose a certain way. Mom and dad are our natural helpers when it comes to this. The more you use the same photographer, the more a child can feel comfortable with that photographer. If you find a professional that you click with, you like their style and the way the portraits turn out, then frequent that photographer. The ‘stranger’ will become a familiar face as your child grows. Keep in mind, sometimes the first session can be painful. Not all photography shoots produce magazine worthy images. There are plenty of pouty lips and teary eyes at times. We just don’t see those because nobody displays those. Your child is not abnormal just because he or she is cautious and needs time to warm up to new faces. A good photographer will work with you and your child, making you both feel comfortable in the long term.